Centuries long, dogs have been our best friends and lovely companions. Whether it is about loving, sharing, affection or companionship, they have always been there as our best partner sensing all our emotions. Whether you are ditched, angry with your spouse or feeling lonely, your pooch can very well know all about your emotions and feelings. The greatest human partner – dogs have incredible sensing abilities and are definitely intelligent creatures. Got scared about something? Right there your pooch goes picking up your fear. He will act the same and mimic you. If you want to get those goosebumps on your pet, just alleviate your own fear at once and see. Though some of the dog breeds are exceptional as they are trained to be guard dogs. Though you don’t yell in front of your pooch, he can sense that tension. They are very apt in sensing your clipped tone of voice, the fact that neither of you is speaking, the stiffness in your posture or the agitated way you are opening or closing the closets or drawers. Do you have favorites? Dogs can very well tell if you’re playing favorites. For example, you have two dogs and both of them have earned treats for their good behavior. If you have given a treat to one, then certainly the other will pick up on that, and believes she has definitely done something wrong. When continuing they can even stop cooperating all together. It can be a good lesson for us, we can learn from this. Have you ever noticed that just a few seconds off from your pooch and that treat or salami goes missing from your plate? As intelligent as humans, they can sense when you are ignoring them or not paying attention. Science backs this up too, as studies have shown that dogs are aware whether or not there are any people around, and will behave accordingly. The most trained dogs also don’t miss to pick what they want when no human is watching them. An aura of positive vibes and good energy is always present around a good, honest and trustworthy person. From centuries, dogs have been aware of this energy and they can very well sense whether a person is goodhearted or not. They can even know whether you are kind-hearted or not, by checking on your body language and how you behave with others. When your dealings are just fair and good, your dog will pick from how others react to you. Dogs are naturally inclined to those who they perceive as fair and trustworthy same as they are drawn to generous individuals. 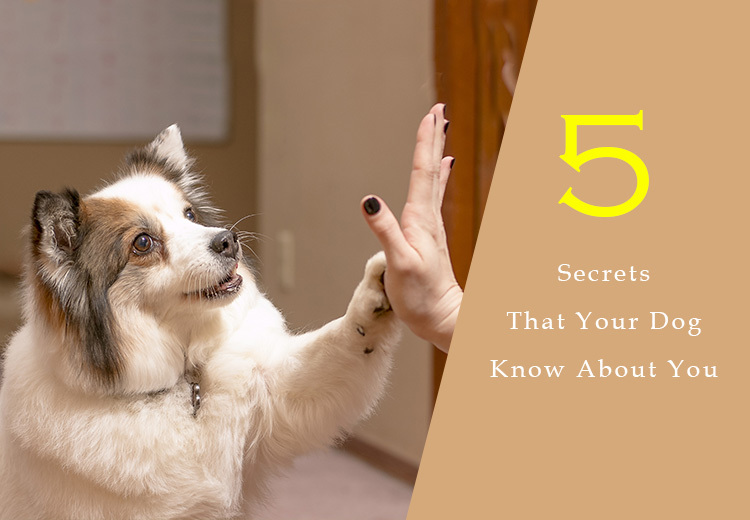 Well, dogs know more about your feelings, emotions and health than you ever know and this has definitely made them your most trusted and lovable companion. « Is Your Cat Throwing Up Worms?